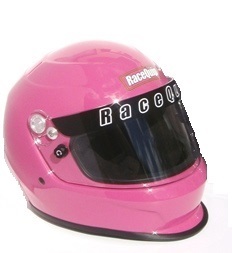 Over Half of Trackside Tim's Staff have Experience as Drivers and Officials! 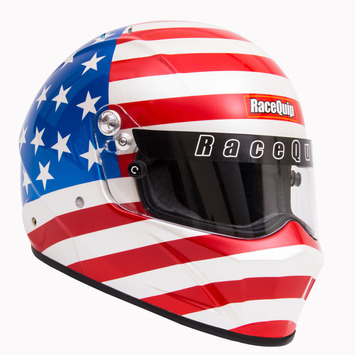 Trackside Tim's Strives to use American Material Whenever Possible! 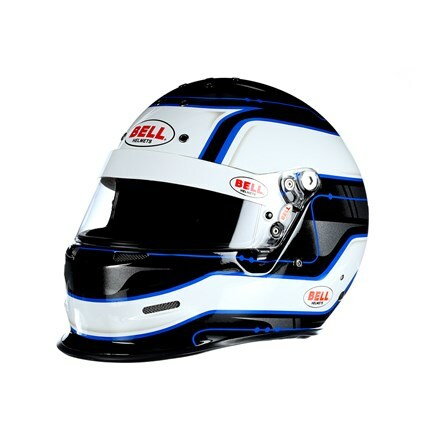 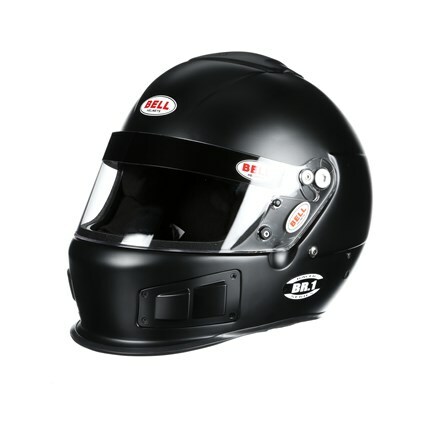 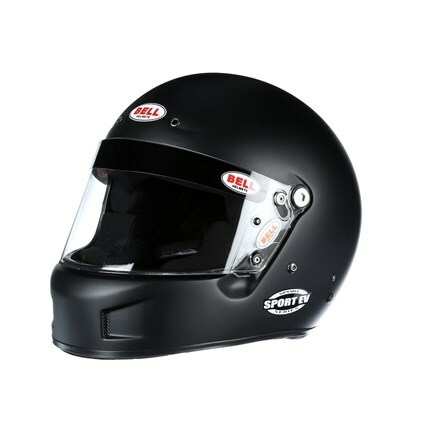 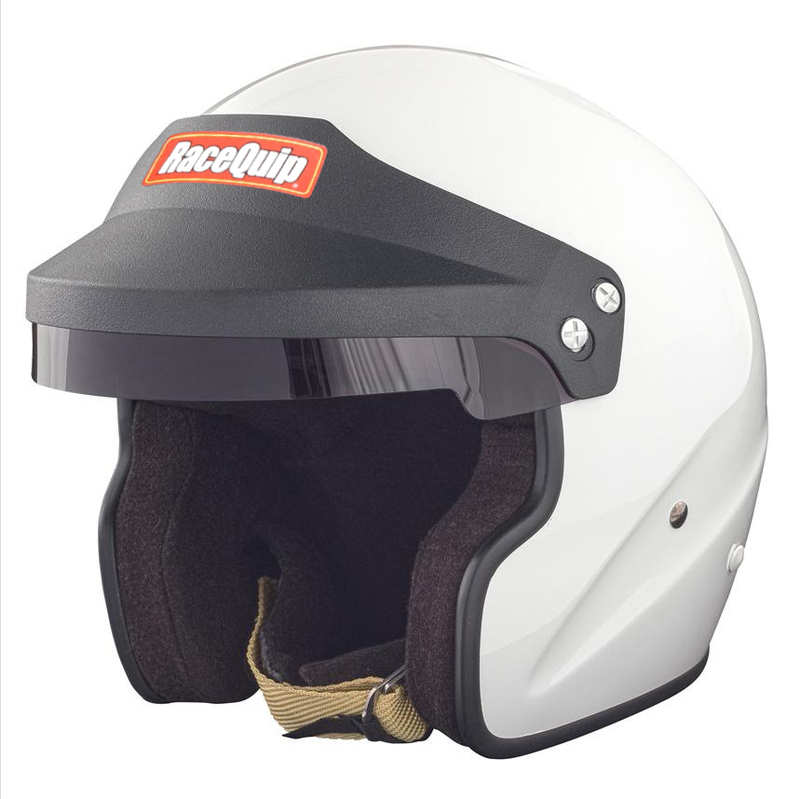 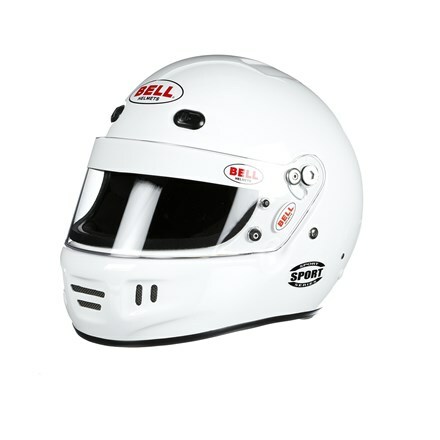 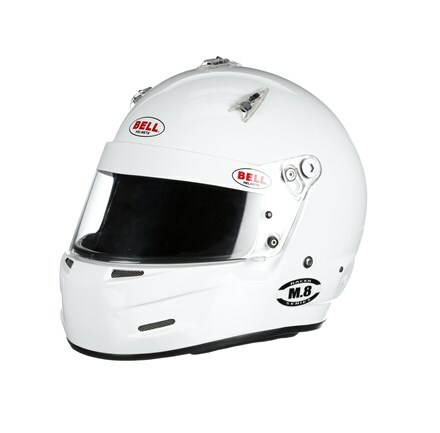 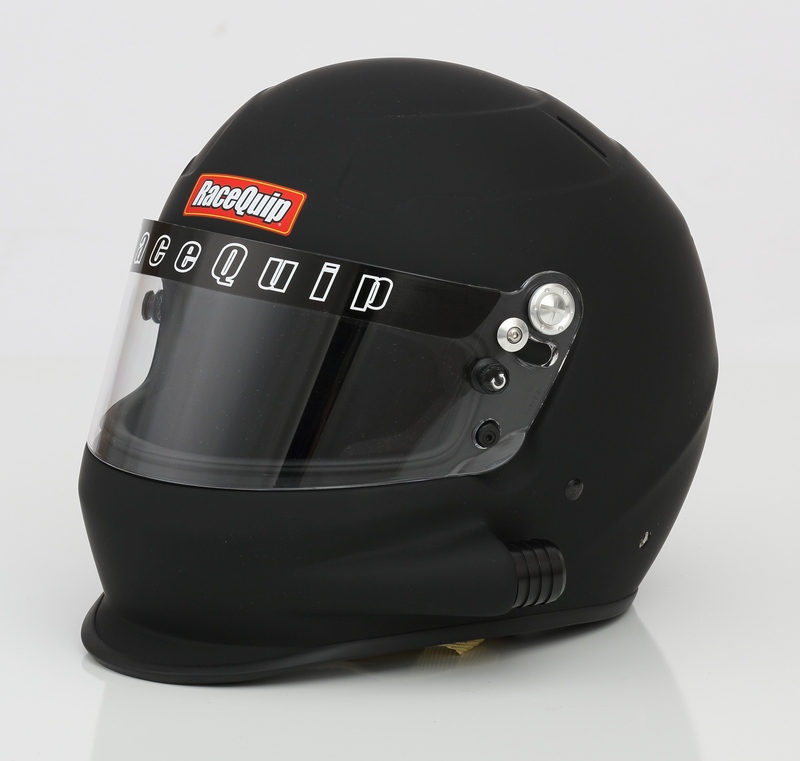 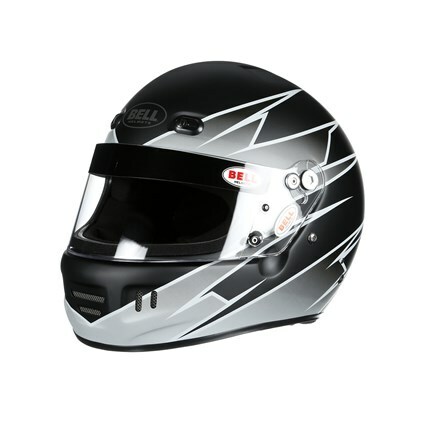 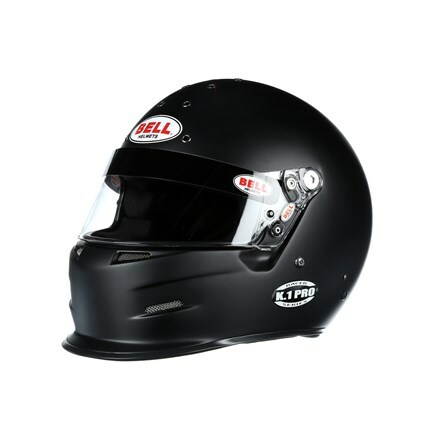 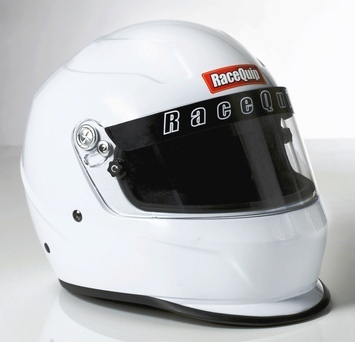 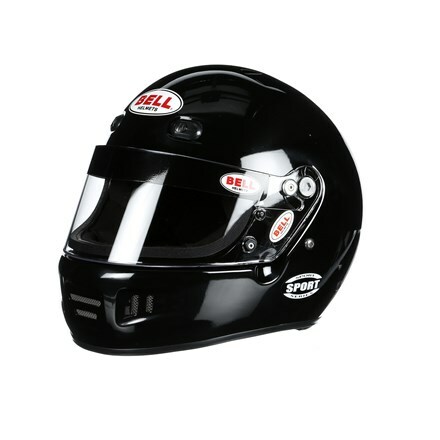 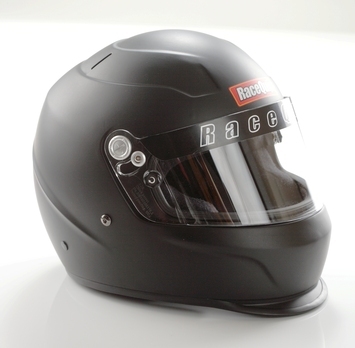 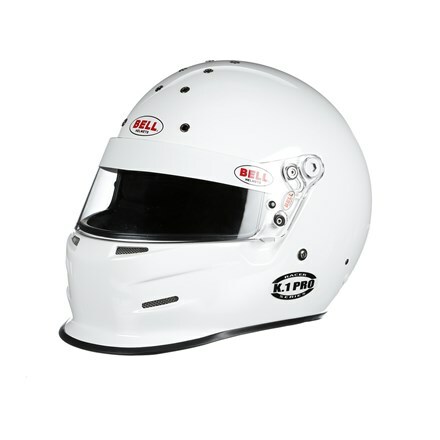 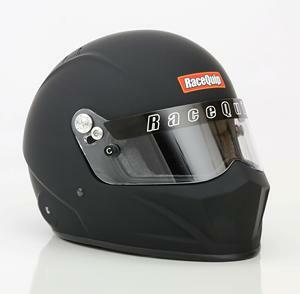 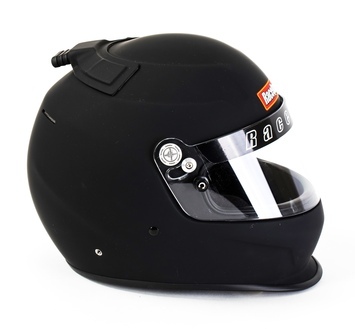 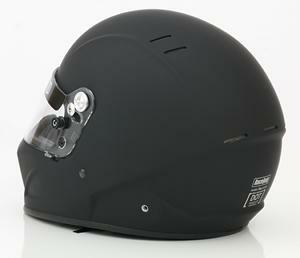 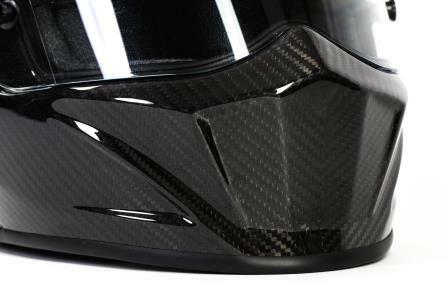 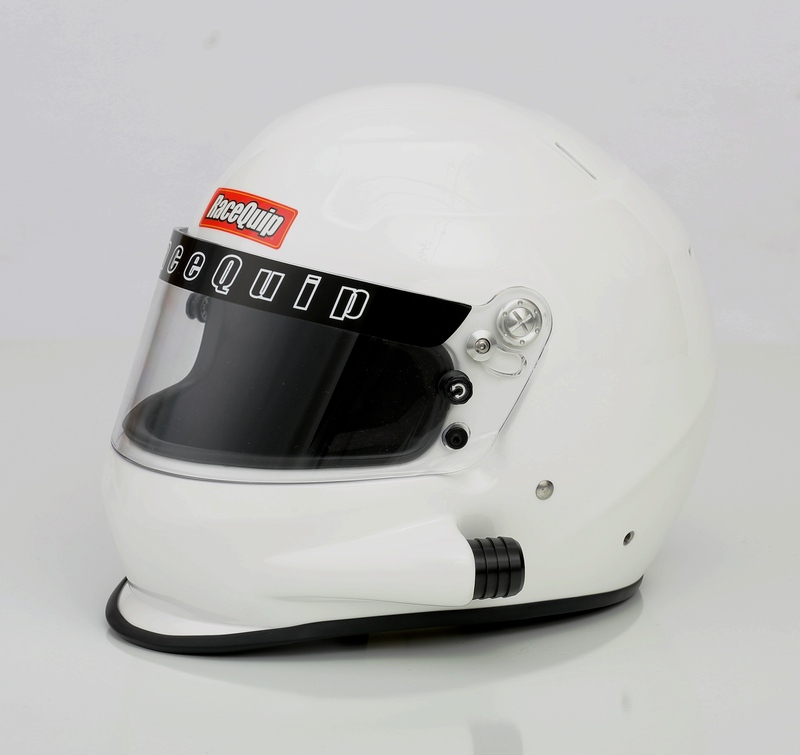 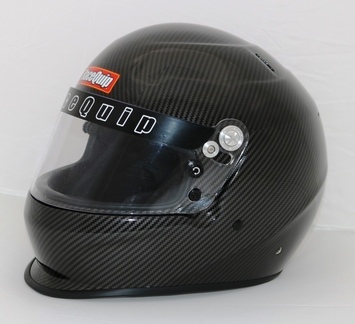 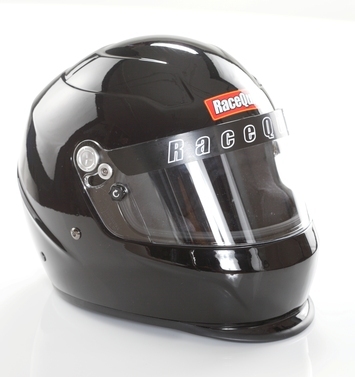 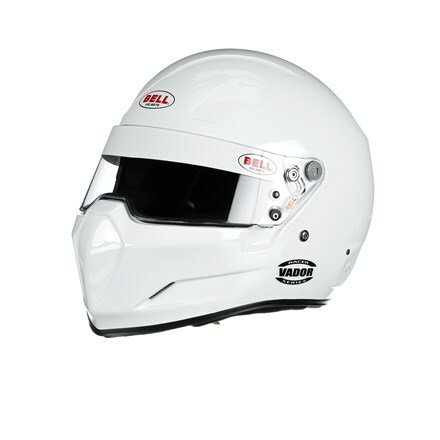 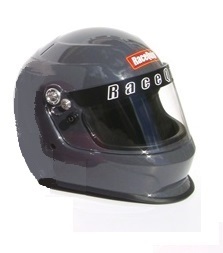 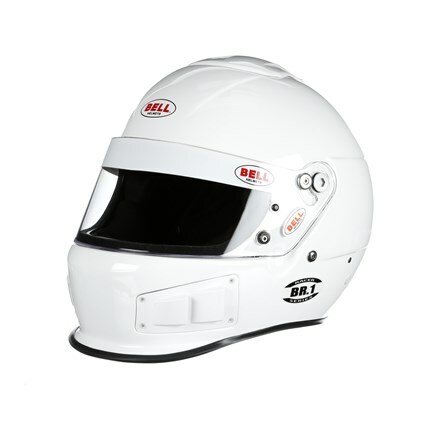 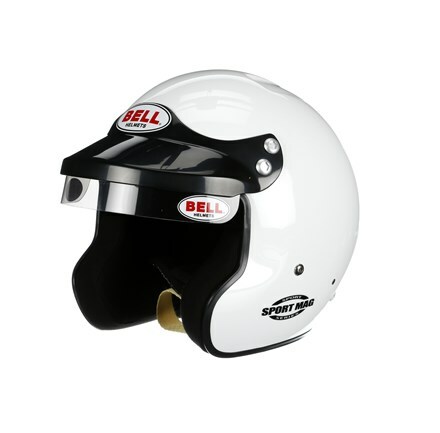 The RaceQuip PRO15 Side Air is a Snell SA2015 rated full face auto racing helmet that incorporates contemporary styling with modern production techniques. 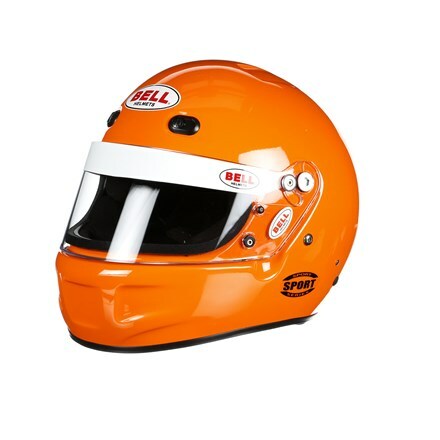 These helmets are also sometimes called forced air, blower, or pumper helmets because they have a provision on the helmet to attach a fresh air hose. 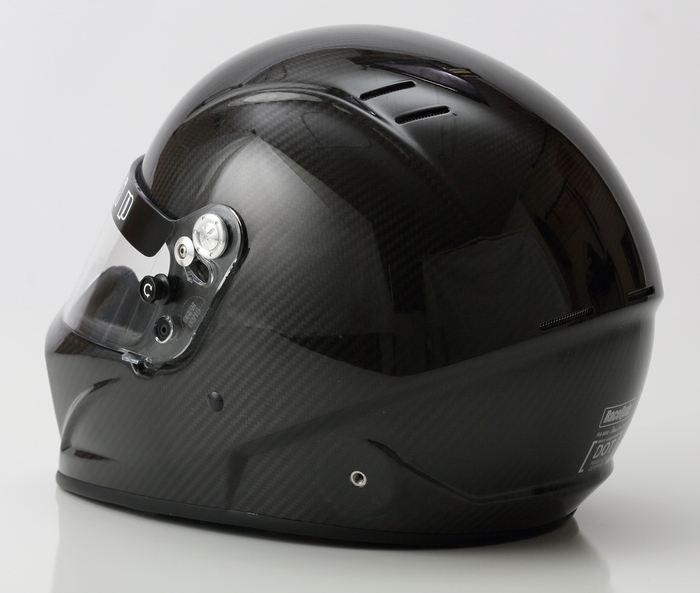 The Fiber Reinforced Polymer (FRP) shell is hand laid to achieve a balance between light weight and affordability. 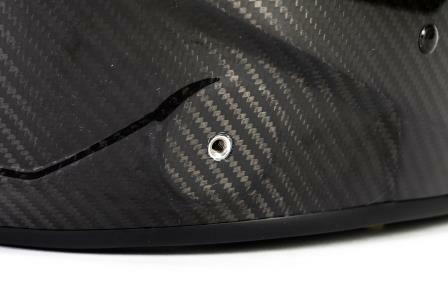 Reinforced M6 threaded HANS/HNR inserts are mated to the shell along with an expanded polystyrene (EPS) liner. 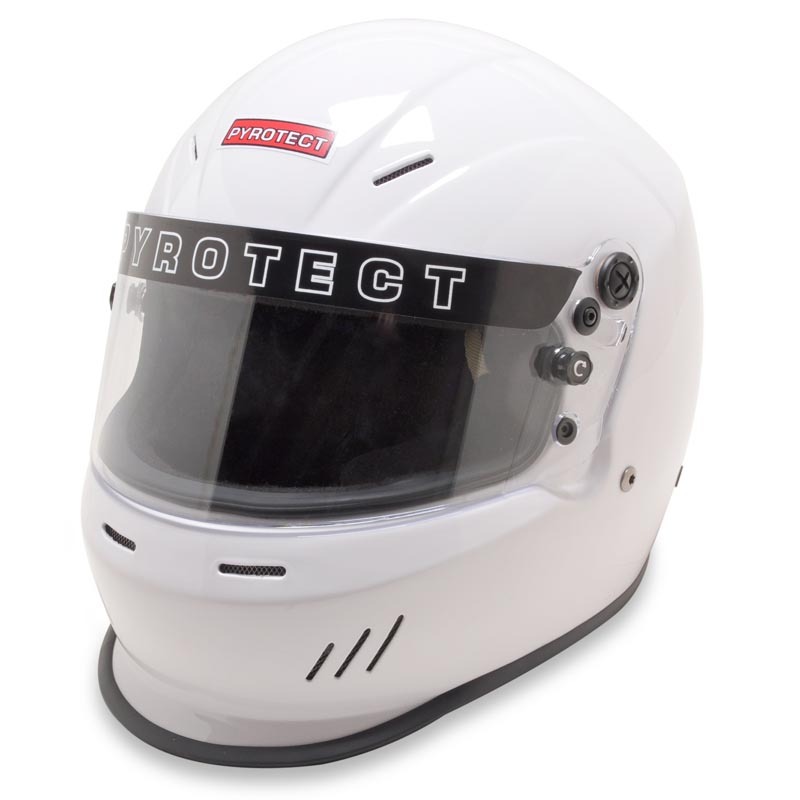 HANS or other Head and Neck Restraint device anchor posts (not included) can be easily attached to the outside of the helmet using the installed M6 threaded inserts. 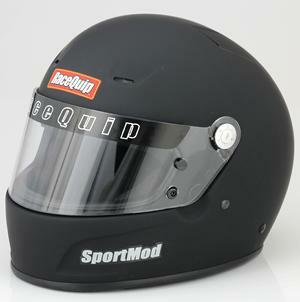 Forced air is plumbed into the left side of the helmet through a standard 1.250" barbed fitting so air flows across the faceshield from left to right. 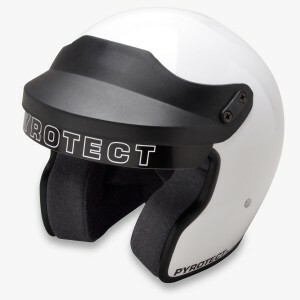 The distortion free 3mm polycarbonate faceshield features an aluminum pivot kit, hand ratcheting TearOff posts, and a silicone eyeport gasket to seal out dust and dirt. 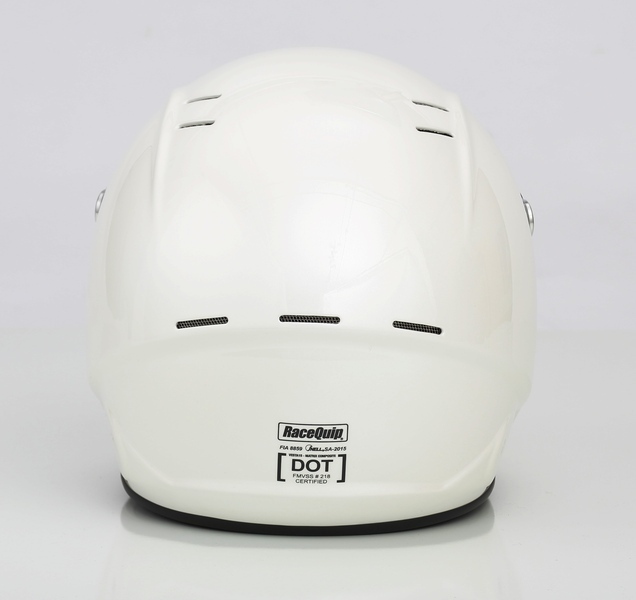 A wide eyeport provides good peripheral vision and allows the use of personal eyewear. 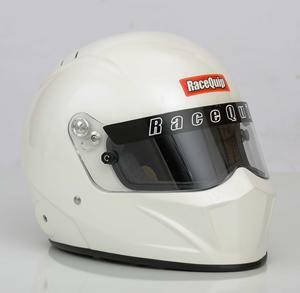 The SA rating means that the Nomex(R) interior and paint are fire retardant as well as the kevlar chin strap, so the RaceQuip PRO15 Side Air Helmet is suitable for use in all forms of motorsports. 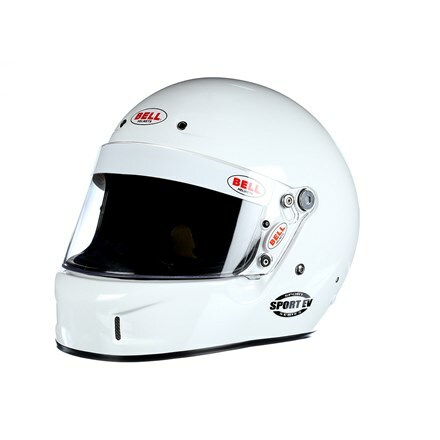 The comfort fit blended Nomex® interior along with exhaust vents on the top and back of the shell help keep your scalp cool. 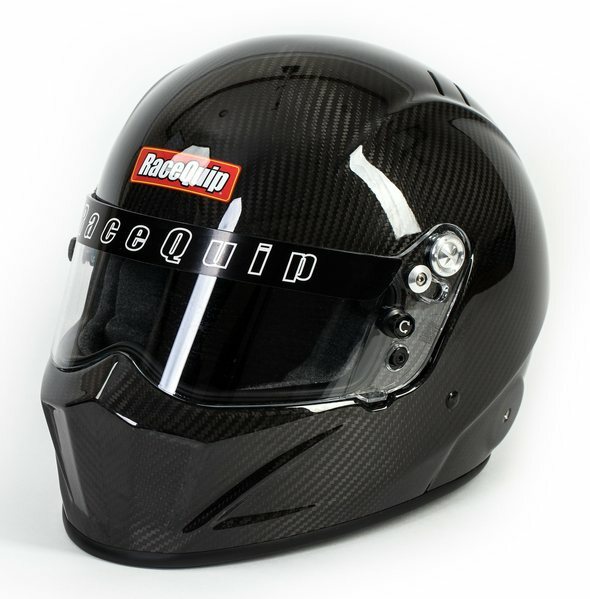 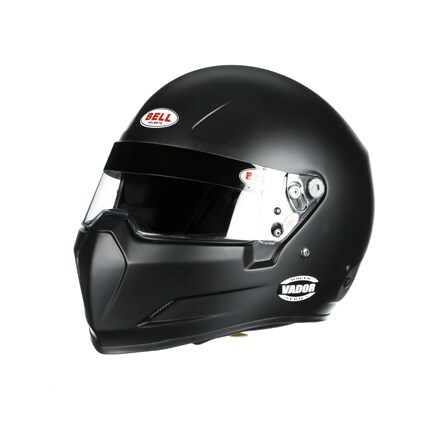 All these features are wrapped in a stylish aero design hand laid FRP shell with a medium sized chin spoiler and the result is the outstanding value delivered by the RaceQuip PRO15 Side Air helmet. 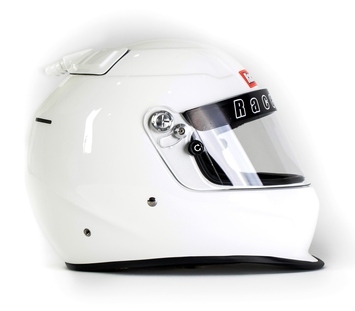 Available in Gloss White and Flat Black in sizes Small - 2XL.